Revisited is a series in which writers look back on a work of art they first encountered long ago. 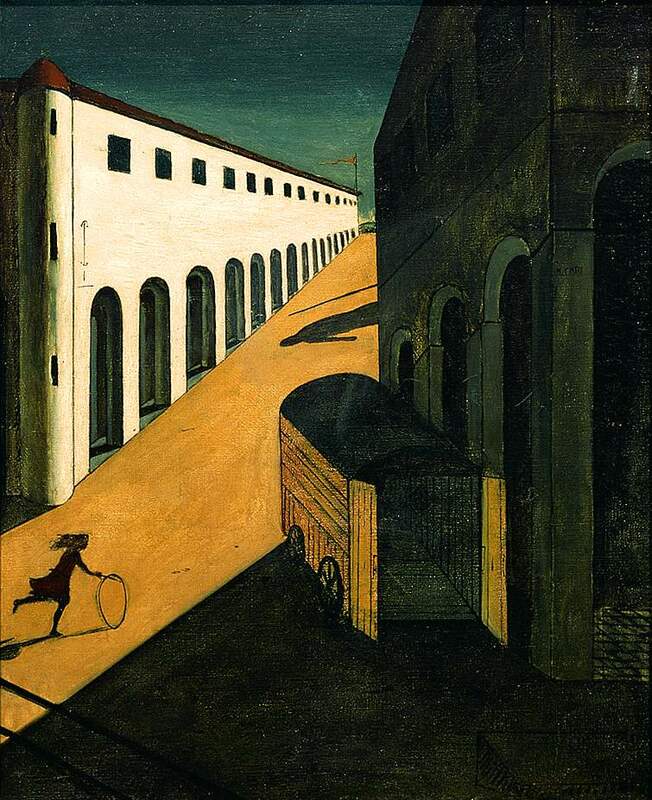 Here, Cara Hoffman revisits Giorgio de Chirico’s Mystery and Melancholy of a Street. Giorgio de Chirico, Mystery and Melancholy of a Street, 1914, oil on canvas. I was fourteen when I first saw the evening sun setting an empty piazza aglow. This was in Vicenza, Italy. My older brother, who was stationed there during the Cold War, was getting married to an Italian woman who worked as a nurse, and my family had gone over to attend the wedding. The image is with me still: in a penumbra of orange, the clock tower cast a long shadow in the street as the high, darkened arches of the Basilica Palladiana breathed the cool power of a stone’s history into the fading light of the square. The beauty of it was utterly foreign to me. I had lived, up to that point, in a prison town full of strip malls near a narrow highway in a Sears kit house; the blunt suburban ugliness of the place was further darkened by Appalachian poverty. And the only refreshing things my eyes knew were the river by my backyard and the wooded trails that flanked it. Vicenza was the first landscape I recognized as human. The culture of a small town with two maximum-security prisons in it is what you would imagine it to be. But the ignorance and desolation of that culture permeated the physical landscape, the way Blake describes the soul creating the body. In the neighborhood I grew up in, people did not spend time outside their houses. I often played games as a child that centered around life after a neutron bomb. I would imagine I was the only person left alive; solitary, playing with my Hula-hoop in the driveway; the TVs flickering through the windows of houses nearby were simply remnants of a lost civilization. If I walked into one, I’d find a skeleton sitting in a La-Z-Boy bathed in the glow of The Price Is Right. I returned home from my brother’s wedding determined to leave again as soon as possible. By the end of the next year, I had my own apartment in a nearby city, had quit high school, and was saving money. Six months after that, I was on a plane with a one-way ticket. 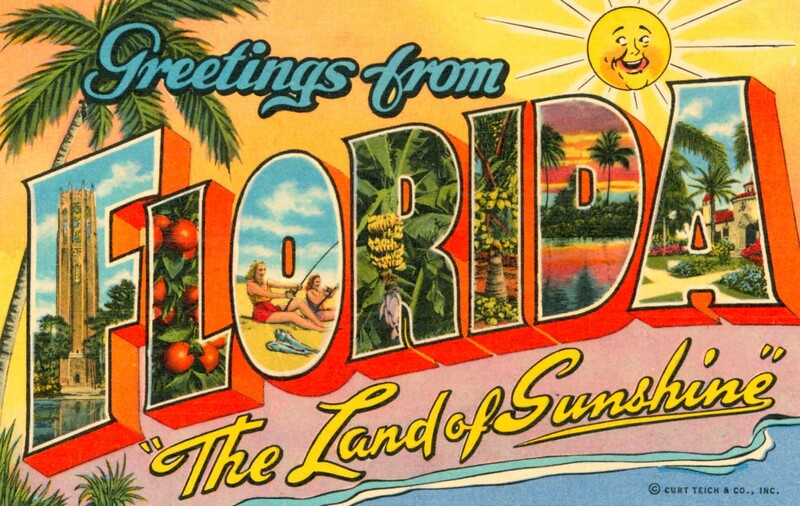 I traveled for years with little money, working under-the-table jobs and gorging on beauty. For a while, I hitched along with a boy who wanted to see every Caravaggio painting in every church in Italy. There was rarely enough for more than one meal a day and sometimes we slept outside or on the roofs of hostels. In Athens, I worked in a hotel in exchange for a place to stay and settled into a life of reading and drinking and wandering among the ruins of slave-built temples under the high, white sun. There were people everywhere doing what I was doing. Touring because they’d come from a landscape that didn’t match the one they’d been born with or because they were done with the tacit brutality of the civilized. If I wanted to go somewhere else, I saved enough for a ticket and left. If I couldn’t afford a hostel I slept in the train station or on a beach. I felt invisible and invincible. I finally returned home, three years later, thinking I would be able to work and save and leave again. But this didn’t happen. Being poor in America was not the same as being poor on a Greek island or in Athens or Florence or Tel Aviv. The closest I came back home to feeling the same kind of powerful and solitary dislocation in the face of beauty was looking at the Bethlehem Steel plant surrounded by snow, while I stood at the top of a toboggan run. I came by Mystery and Melancholy of a Street in the nineties, when I first read Robert Hughes’s history of modern art, The Shock of the New. The image struck me as though I had come across my own biography or maybe my own obituary by accident. A painting oddly referred to as de Chirico’s “most metaphysical,” it shows a piazza in fading light, the shadow of what looks like a military statue, the arched, blackened doorways of renaissance architecture, and in the distance a banner flying. The only motion in this stagnant scene, bottom left in a bright ochre corridor of light, is a girl running with a hoop. Boots kicked up, hair and skirt trailing behind her. Before her, in the shadow of a building, illuminated by light coming from nowhere, is an empty freight car, its doors open. The painting has two vanishing points. I saw myself there; playing in the light alone with my hoop, alive among the tall wide weight of buildings, captured midescape. It was the dream landscape of my childhood and the piazza of my awakening, merged. My first vanishing point was Italy. My second vanishing point was Manhattan: a river close to my house, the trails beside it winding through a forest of towers. The boy in Italy who wanted to see the Caravaggio paintings is now a man. He puts his hand over de Chirico’s running girl as he leans in to kiss my cheek, and we walk, the sun casting a thick wedge of translucent orange light down Essex Street, our shadows tall beneath the flame-blue sky. Cara Hoffman is the author of three novels: Running, So Much Pretty, and Be Safe I Love You. She has written for the New York Times, Marie Claire, Salon, and National Public Radio. She’s been a visiting writer at Columbia, Saint John’s, University of Oxford, and currently teaches at the Stonecoast low residency M.F.A. program at the University of Southern Maine.